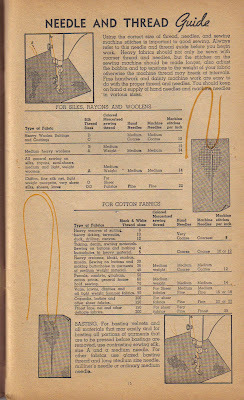 Well, since I've been on such a big sewing kick lately, I thought I'd share one of my 1940's sewing books with you! 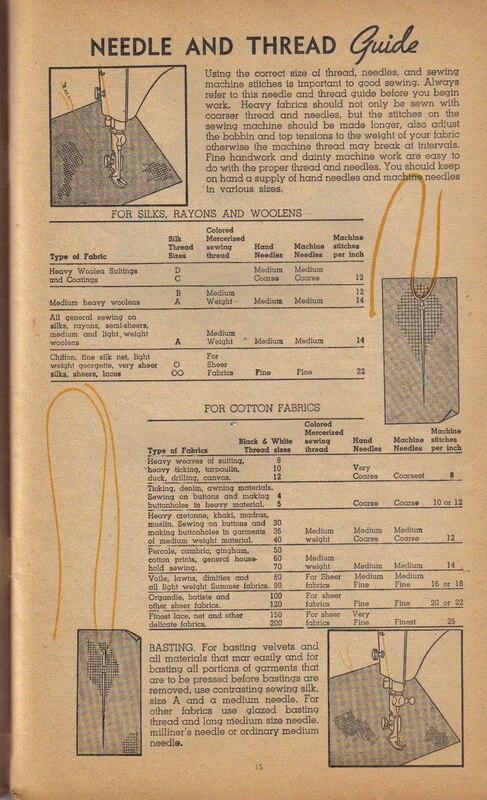 It teaches all of the basics of sewing that many people cover in a sewing class. 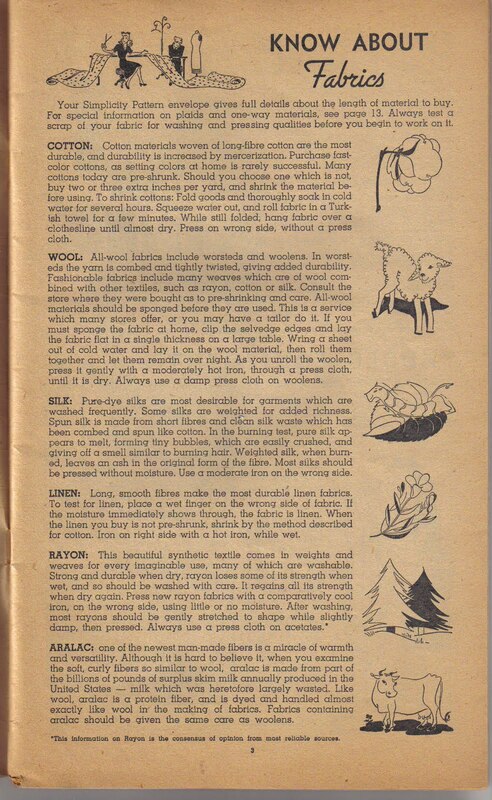 This book covers everything from learning to sew by hand to tips on making a coat! Just click on the image to enlarge. Feel free to save it to your computer for help later. I love this book because it gives us a glimpse into the daily life of real ladies in the 1940's and the pictures are so neat. Hope you love these as much as I do! I am so envious of all you gals who know how to sew. I just dumped off five yards of fabric at my mother's for her to make valences- can you imagine?